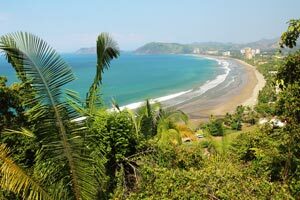 Playa Jaco is a good place to start your surf trip in case you still need some supplies. This is the town with the biggest selection of used and new surfboards on sale. There must be around 30 surf shops in Jaco. 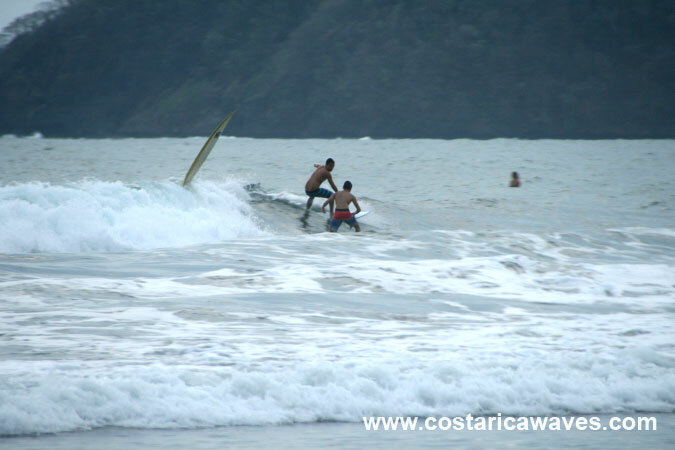 Most of the well known surf board shapers of Costa Rica are located in Jaco, too. Piko and Carton are located in Jaco. Nico Fisher, from Argentina, is located in Hermosa. So if you still need a board or forgot your rash guard and need some good sun blocker it makes sense to stop in Jaco. 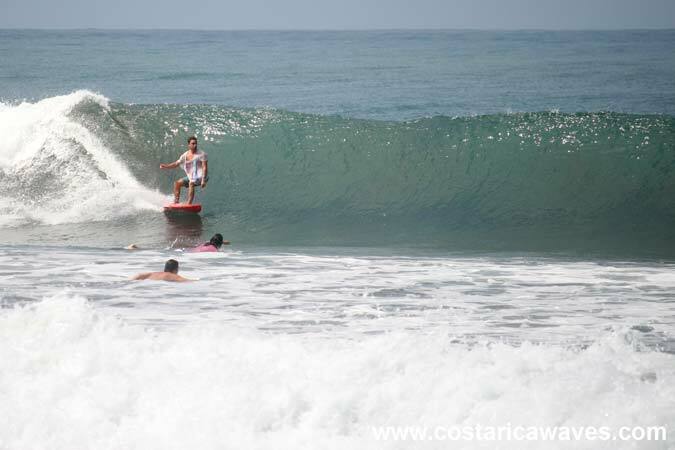 If it's not your plan to buy a surfboard you can easily find a rental surfboard in Jaco. 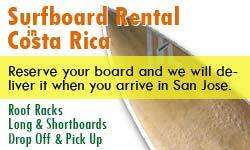 There is a wide variety of surfboards available that are for rent. 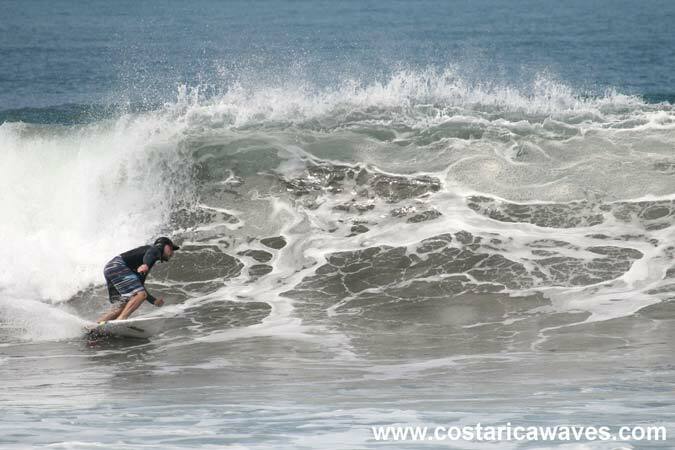 Jaco is home to some of the best surfers of Costa Rica. Carlos Munoz, Jairo Perez, Nathaly Bernhold, Gilbert Brown, Lisbeth Vindas and her husband Diego Naranjo are all residents of Jaco. This is a beach break with many peaks. 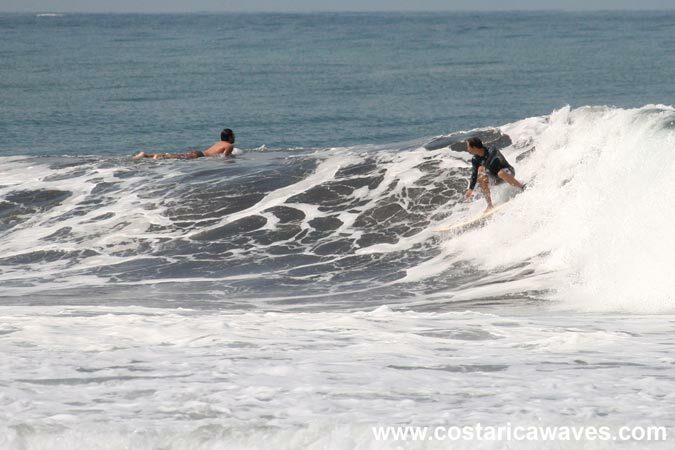 So even though Jaco attracts loads of tourists and many locals it’s not too difficult to catch a wave here. Usually the waves, which break over a sandy bottom, are average. 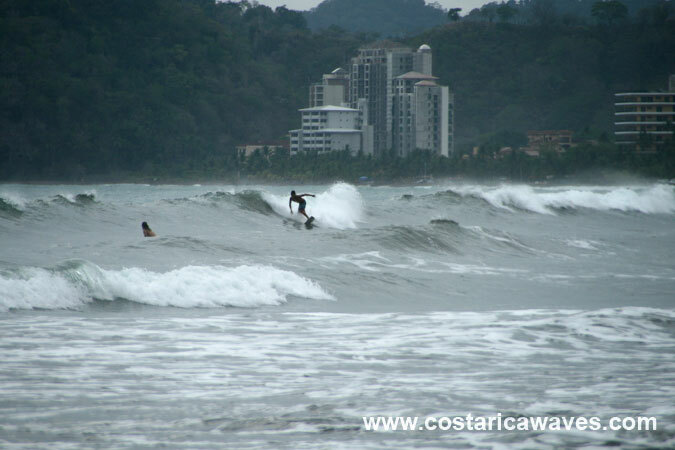 But don’t be surprised, with a big swell from the Southwest the sandbanks generate big waves in Jaco, too. The waves start to become good 2 hours before high tide. At the southern end of the bay the waves are a bit slower and smaller. Watch out for currents in Jaco. Swimmers drown here every year, because they get caught in a rip tide and panic. The 2016 ISA World Surfing Games took place in Jaco Beach from August 6-14. Every year, the town hosts several surf competitions. View of the beautiful bay of Jaco Beach. 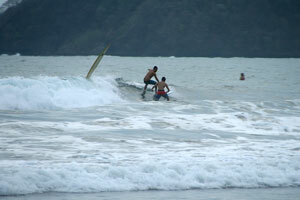 Most of the experienced surfers prefer in the nearby Playa Hermosa. 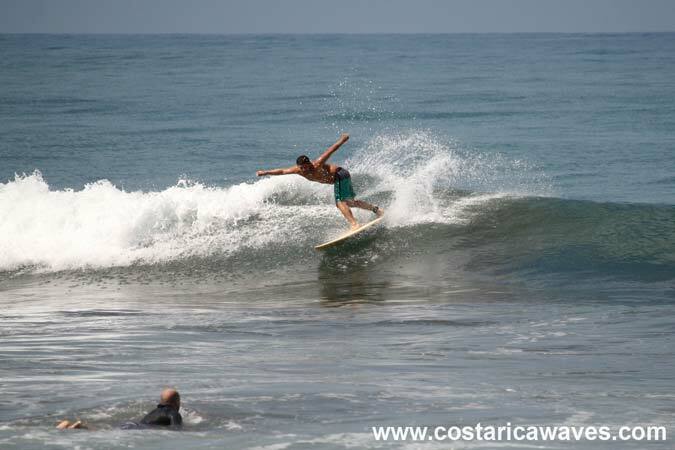 But there are days when the surfing conditions are much better in Playa Jaco! 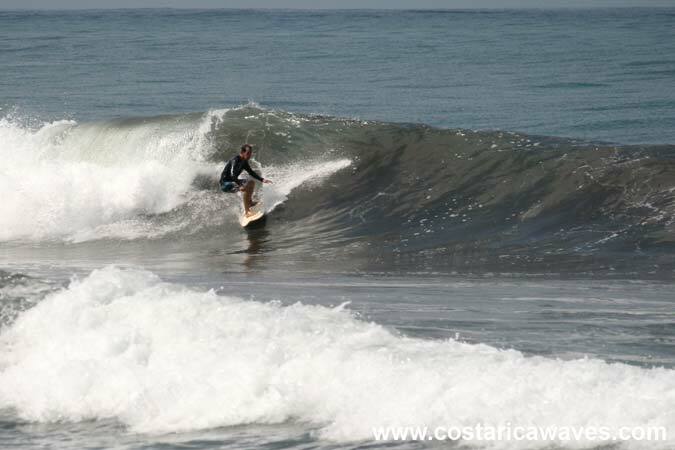 Surfer having fun in a small wave in Jaco. On the southern end of Jaco the drop of the beach is not so steep. Usually there are a lot of beginners at this side of Jaco. It can get crowded in the water in Jaco, but there are a lot of peaks. 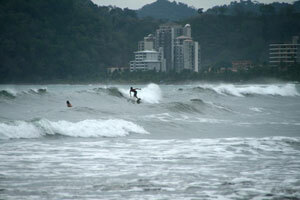 A surfer on mushy waves during the rainy season. 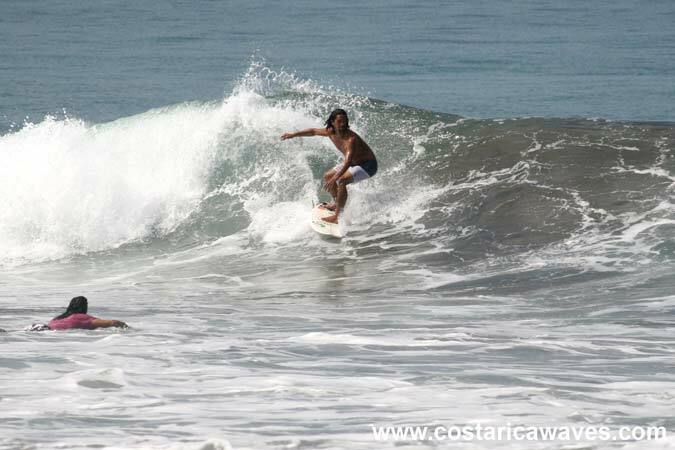 As one of the closest surf spots to San Jose, it's a popular weekend destination amongst surfers from the capital. Travel time between the tow towns is less than two hours. 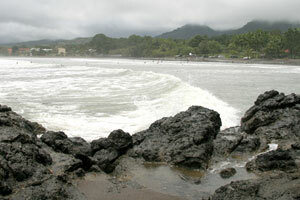 Playa Jaco is very sensitive to the tides, it works best at mid to high tide. Two surfers on a small right. Glassy conditions in Jaco Beach. 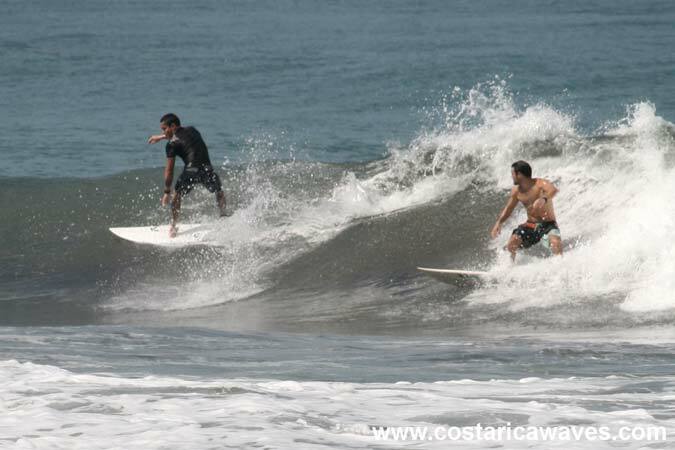 This is how surfing conditions in Jaco can look like during May. The surfing conditions are generally best when the high tide is in the morning hours. Typically the wind sets in before noon and creates choppy conditions. 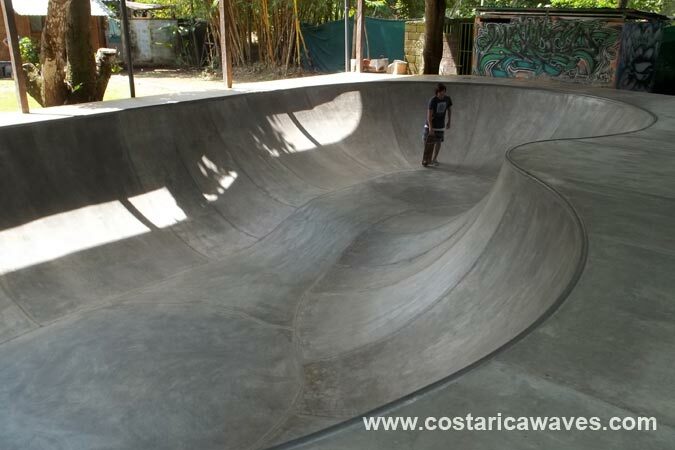 One of the best skateparks of Costa Rica, the Maluco Beleza Bowl in Jaco! 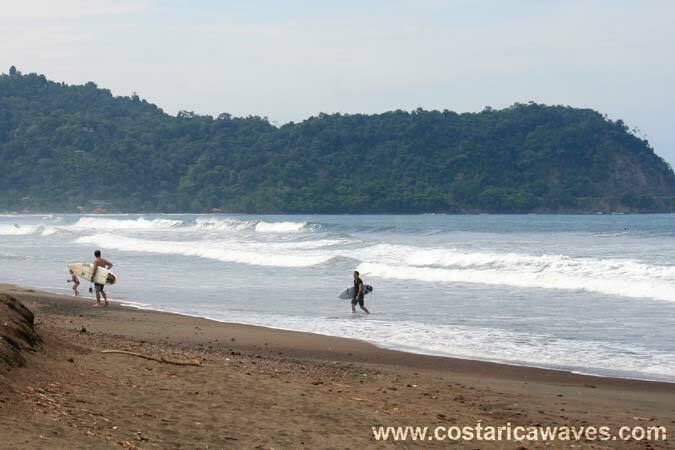 In 2016 ISA World Surfing Games took place in Playa Jaco, Costa Rica. Surfing footage from the men's and women's finals of the competition.